Birthday royal King Carl XVI Gustaf of Sweden, born Carl Gustaf Folke Hubertus on April 30th 1946 at the Haga Palace, Stockholm. Royal story in a sentence Carl XVI Gustaf has just become the longest ruling monarch in Swedish history with a reign that has been largely successful and consolidated his dynasty's position. The Royal Birthday....will be a busy one as Carl Gustaf and his wife, Silvia, have three children and have just welcomed their seventh grandchild. Birthday royal King Willem-Alexander of the Netherlands, born Willem-Alexander Claus George Ferdinand on April 27th 1967 in Utrecht. 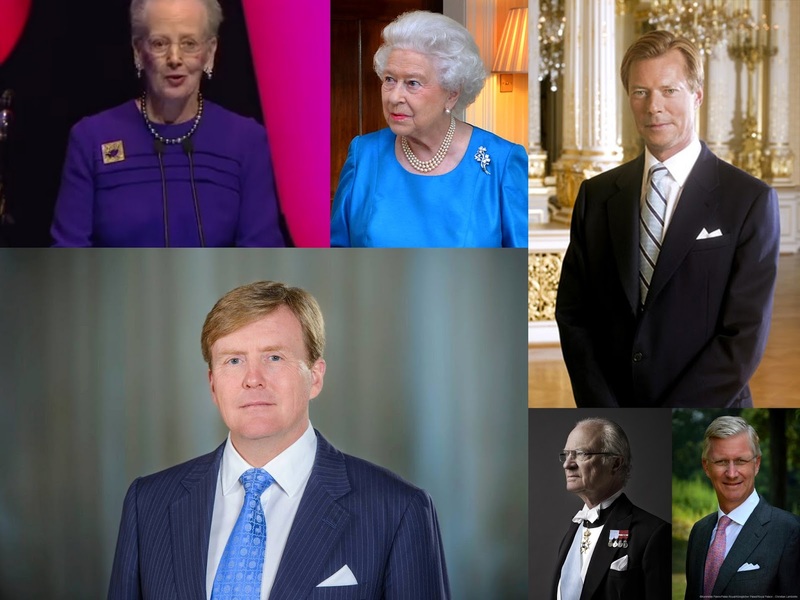 Royal story in a sentence Willem-Alexander became his country's first king in over 100 years when he succeeded his mother, Beatrix, on her abdication on April 30th 2013. The Royal Birthday....is always spent in public with the traditional King's Day celebrations taking place this year in Groeningen. Royal story in a sentence The longest reigning monarch in British history, Elizabeth II has gone from unexpected queen to beloved sovereign in a reign that has been successful beyond anyone's imaginations. The Royal Birthday....involved a special concert this year at the Royal Albert Hall, London where her eldest son (and heir) the Prince of Wales paid tribute to her. Just days later she welcomed her sixth great grandchild with the arrival of Prince Louis of Cambridge. Royal story in a sentence Born with no succession rights, Margrethe became heir to the throne with a change in the law and has been a popular and modernising monrach since taking the throne i January 1972. The Royal Birthday....this year was rather quiet as Margrethe is mourning the loss of her beloved husband of 50 years, Henrik, who died in February 2018. Royal story in a sentence Grand Duke since the abdication of his father, Jean, in 2000, he is largely popular although has endured some controversy in his reign. The Royal Birthday....this year was rather low key with the Grand Duke and Duchess having just returned from a State Visit to France. Royal story in a sentence An unexpected king, Philippe took the throne in 2013 on the abdication of his father, King Albert II, and has proved to be a very successful and popular sovereign. The Royal Birthday...saw the Belgian royals share a photo of Philippe painting a portrait of his uncle, King Baudouin, with the present monarch spending his day with his wife, Mathilde, and their four children.